Q. Temporal. Plays in your core. 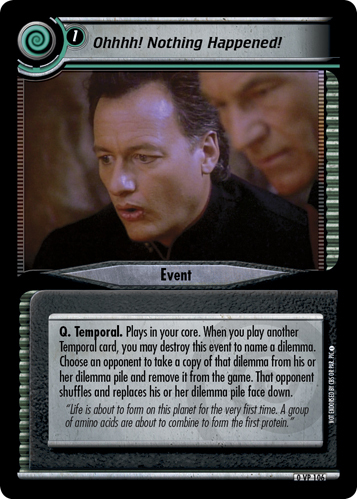 When you play another Temporal card, you may destroy this event to name a dilemma. 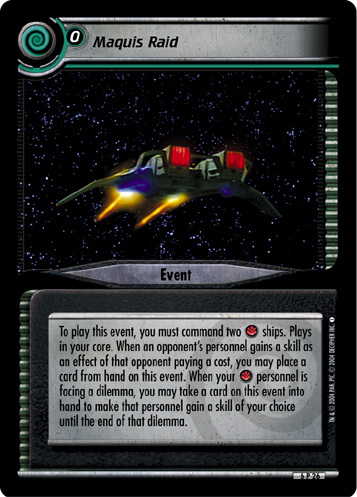 Choose an opponent to take a copy of that dilemma from his or her dilemma pile and remove it from the game. 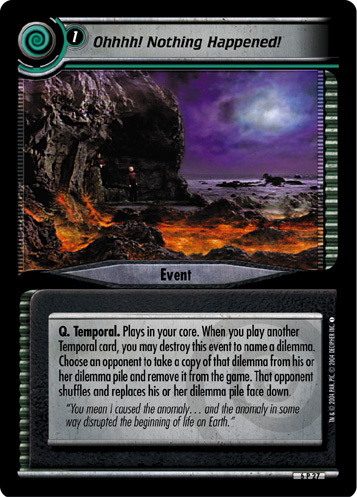 That opponent shuffles and replaces his or her dilemma pile face down. "You mean I caused the anomaly… and the anomaly in some way disrupted the beginning of life on Earth."